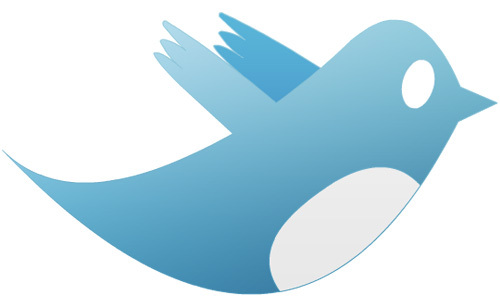 Twitter has grown so fast and has become one of the most used social media websites. The concept of Twitter was unique when it came into limelight and that time people didn’t even know how it works (I doubt many people still wonder what is twitter!). Twitter took a little time to be a household name but once it took off, it never landed. Rather than going into more details of twitter I will come directly to the topic of the post, i.e., How to get more Twitter Followers. Having a good number of twitter followers is very beneficial for a blogger. If you are a blogger you can interact with your followers, ask questions, get feedback from them and drive traffic to your blog. Below I will share some tips and some proven practices that will help you get more twitter followers on your twitter account. This is one of the proven practices which helps you get more number of retweets and followers. The more you tweet about the currently trending topics, the more your tweets will be visible in the stream for that particular trending topic. You won’t get a stream of retweets but still this method is very useful. Including your Twitter account URL in the email signature will give your twitter account more visibility and reach. Every time you send an email than in turn you are popularizing your twitter account. When visibility and reach of your twitter account increases than number of followers also increases. These days it has become quite necessary to include the URL’s of your social media profiles in your email signature; it gives your email signature a more professional look. Once a user lands on your twitter account than the first thing to be noticed is the profile picture and after that it’s the background that you choose. If your twitter background is very impressive than the user will surely click the follow button on your twitter page. A good twitter background is one which is simple yet attractive. If you are a blogger than you can include the Logo of your blog, give links to your other social networking profiles and link to your own blog. You can get an impressive background designed by using some of the Fiver gigs. Following people in your niche will be very beneficial for you in many terms. You can also get some follow backs as users in the same niche tend to follow each other. And when they find your tweet interesting than they wont hesitate in re-tweeting it. Following people in this way will also help you gain some knowledge from the people of your niche. This will also help you to get an identity for yourself among the bloggers in your niche. Another way of getting twitter followers is the social media exchange websites. These websites can help you get more number of twitter followers. What you have to do on these website is that, firstly you have to follow some twitter accounts that are listed there and for each account that you follow you will get some points. Than you can add your twitter account on their list and people will follow you to get points as you did. Its basically a exchange of twitter followers. The bad thing about these type of followers is that most of them will unfollow you later on but still people use it because it is a fast way of getting followers and its free too. Atlast if you are looking for quick rise in the twitter followers than you should go for paid services. Various social media marketing companies provide real and active twitter followers. One such social media marketing services provider like buyrealmarketing.com will help you get more twitter followers which are active and real. They are professionals in this field of online marketing and also provide SEO services. These services can be used when you are in a need of high number of twitter followers in less time. I am sure these tips will help you get add more twitter followers in your account. If you like the post than do share it with your friends. Twitter gives us a platform to stay connected with our readers even when we are not blogging ..Glad that the post was useful for you :) keep visiting!